Senate and House Republicans have apparently reached a deal on a Russian sanctions bill to punish Putin and his boys for their interference in our election. The Republican Congressional leaders have done so over the objections of Trump, who does not like that the new bill would tie his hands, make it impossible for him to unilaterally lift sanctions on Russia. Six months into the Trump presidency and Republicans seem to be less than impressed with the leader of their party. They're certainly not afraid of him any more. Sarah Huckabee Sanders now says that Trump will sign the bill. Almost simultaneously, on yesterday's morning shows, The Mooch quoted the president (first as "an anonymous source" and then by name) as continuing to disbelieve that there was ever Russian hacking of our election. 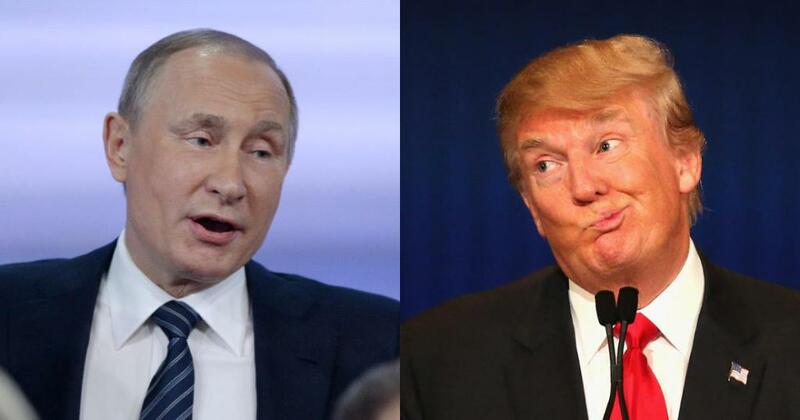 So ... just trying to keep up with the bizarre logic of Donald J. Trump ... he is prepared to sign a law extending sanctions on the Russians for the hacking of our election that he believes never happened.